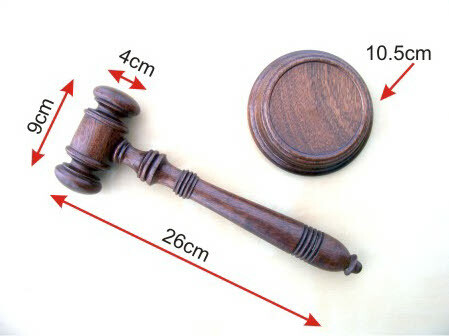 Chairmans Gavel set - antique mahogany finish gavel set in a timber presentation case. These gavels are hand made in the United Kingdom by a master wood turner. Made to a very high standard from solid mahogany timber with a dark antique finish. These gavels look very distinguished, and have been skillfuly shaped to feel very nice to hold. 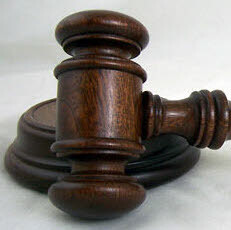 This is an ideal gift for a chairman, director, speaker, judge, barrister, auctioneer, or just as a nice display piece. Supplied in a deep gloss rosewood presentation case. This gavel set is sure to impress. 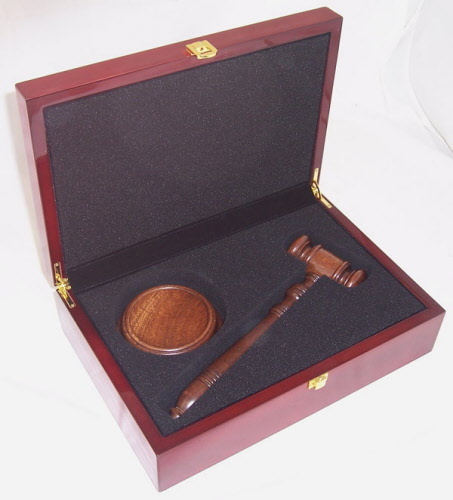 To Purchase: Please email us directly to purchase this gavel as we may need to get extra details from you to complete the order. Please note: As gavels are a natural timber product variations in the wood grain and colour may differ slightly from the photos.